Whirlpool Water Purifier Customer Care & Customer Service Phone Number – Customers can refer the Whirlpool Water Purifier Service Phone numbers mentioned below to contact the company for any issues/queries they may have with the products offered by the company. Customers can make use of the services offered by the services team to clarify their service queries. Customer Care Number : 91-124-4591300. Customer Support Email : helpdeskindia@whirlpool.com. Below provided is the list of addresses of whirlpool water purifier service centres. Customers can visit the service centres to resolve their problems regarding water purifier. It has 1 year comprehensive warranty on the product. Apart from this, the company also provides extended warranty facility with services like comprehensive coverage, 24/7 toll free customer support, authorized service technicians, repair or replace and if the product cannot be repaired, it will be replaced. Company is one of the leaders in offering products to the Consumer household markets. They have wide variety of the products to the households in India with Whirlpool Water Purifier being their latest offering into the Indian markets. This product has got great advantages over the other products and is relatively affordable as well. 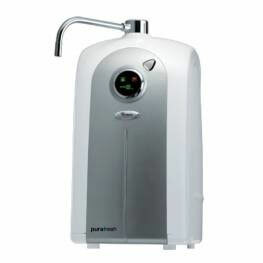 It has two types of water purifiers EAT and RO purifiers. In EAT water purifiers it has Destroyer and Purafirst. It uses revolutionary electro adsorption technology. Eat filter uses 4 filtration technologies with 1 physical filter. Its benefits are it can operate without electricity, retains essential minerals, no service engineer required, and works even in low water pressure. Apart from this, whirlpool presents new mineral RO with innovative features like Unique Mineral Enrichment system, Strong Filtration Capacity, Multistage purification and Tamper proof Filter. Whirlpool RO comes with a pro-filter that removes all physical impurities, enhancing the life of the RO membrane. Get good health with every sip of RO water. If you are looking to buy this product for your household you can definitely do so by reading the reviews and rating provided by the customers and for the prices of these products you can always browse through the company website. Machine is fine. But if you face any kind of small leakage, then these service people will charge 295 Rs just to visit your place. And after expenses are separate. Do you really thing we are dumb to pay 300 Rs separately for a pity work of 350 RS. I am using Whirpool RO MES from 2 years in Chennai, but never had any problem with the customer service. But recently I have experienced a pathetic and unacceptable service. I have complained that the water filtration is very very slow. Till 5 days no one came for repair despite of my regular follow up and finally on 6th they closed the complaint stating that “Door is Locked”, when we are 24 hours present in home. So I suggest not to purchase this product. The service engineer’s response was annoying and disgusting. Without visiting my home how he can close the complaint. This is totally a worst service by Whirpool. I would like to report that I’m facing quite a number of problems with my 8 month old RO MES water purifying unit. And the problem started on third month, It’s malfunctioning quite frequently and requires frequent replacement of filters. As of last one month the product is not functional and there has been no proper response from any service person because service persons also get tired I think. Whirlpool customer service is asking to pay RS 386 for a visit and filter cost is more than RS 600. This is too much to spend for water filter service. We need to change the filters at least twice in an year. It means nearly RS 2000, we need to spend. This is ridiculus. Product is also giving lot of troubles. It is not realiable product. Dont buy whirlpool water purifier. The TDS level of water coming out of my Whirlpool purifier RO system is 7 to 13 which I believe is not good for human body. Please let us have your comments on this.